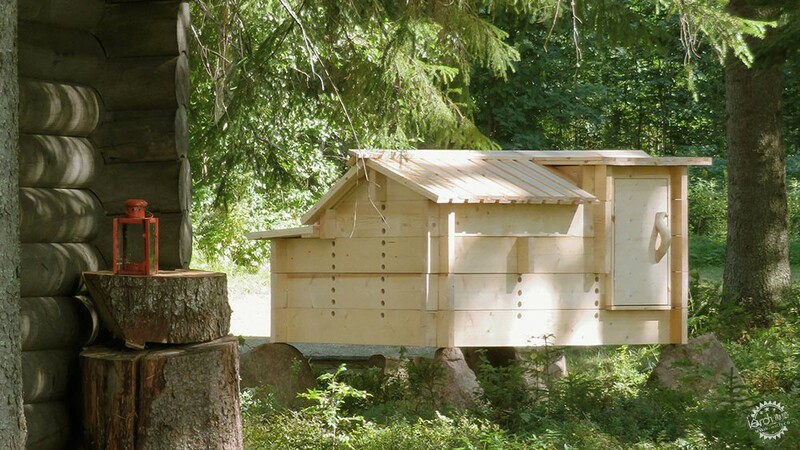 This wooden chicken coop, installed in the grounds of summer house in rural Finland, is styled like a miniature log cabin perched above the ground on granite rocks. 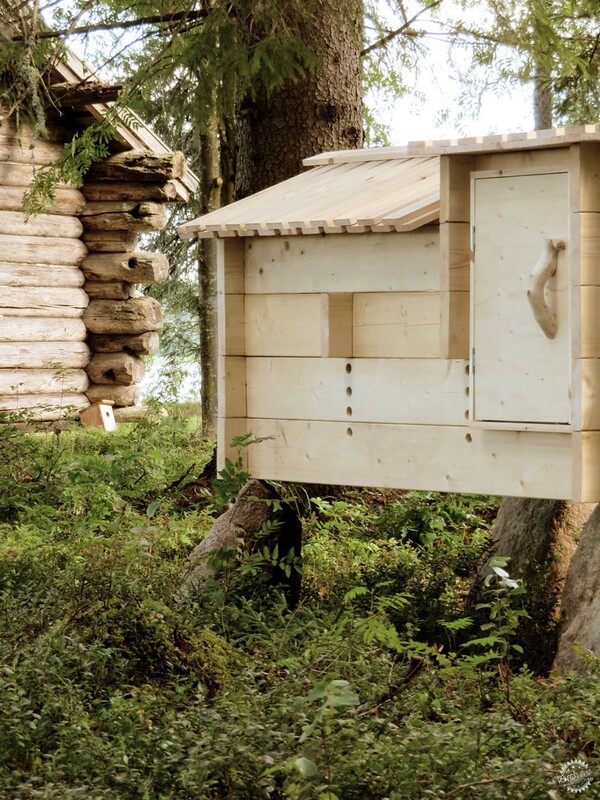 London-based studio Chan Brisco Architects designed the Kana Talo chicken house for a property on the southern shore of Lake Porovesi, which is located 500 kilometres north of Helsinki and just a few hours' drive from the Arctic Circle. 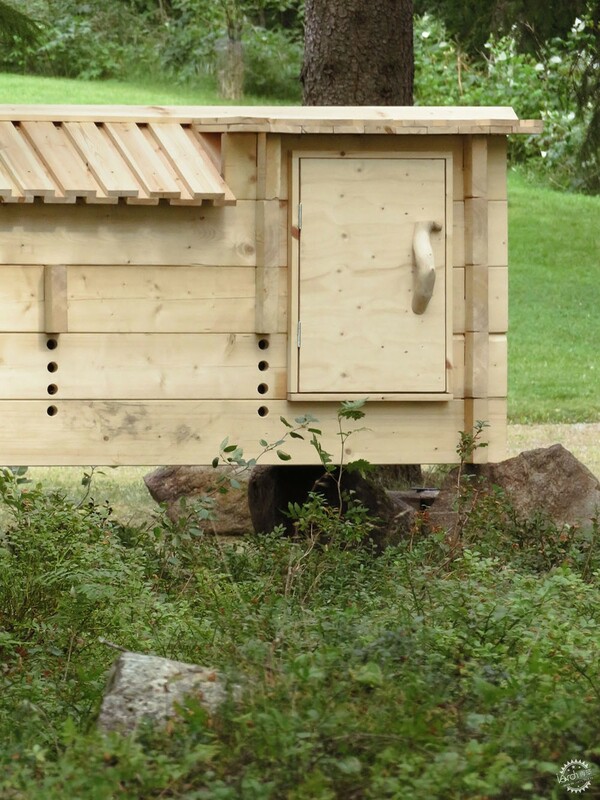 The structure is used to house up to eight chickens throughout the summer months. 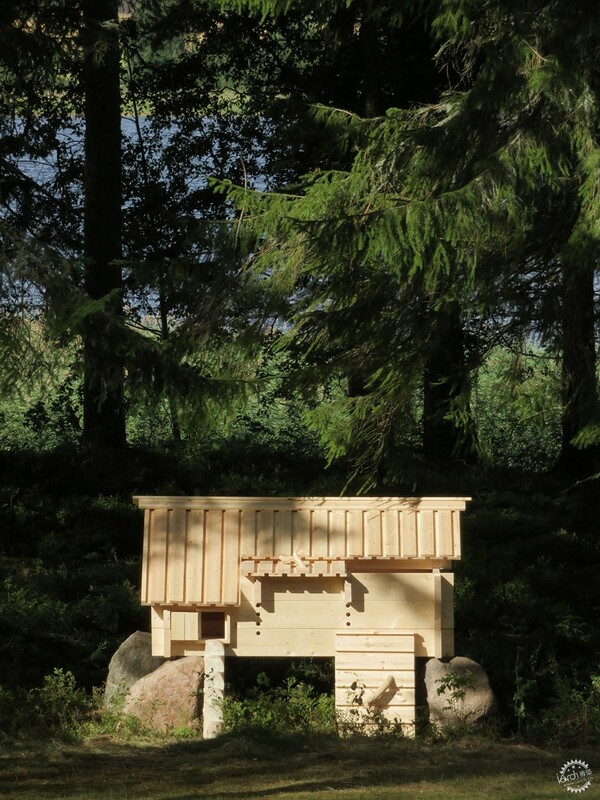 Its design references the traditional log-building methods used to construct the property's existing summer house, sauna, workshop and wood store. "Whilst the project may present a small undertaking, it has permitted the practice to research and to work within a striking and persistent local building culture," explained architects Thom Brisco and Nicola Chan in their project description. 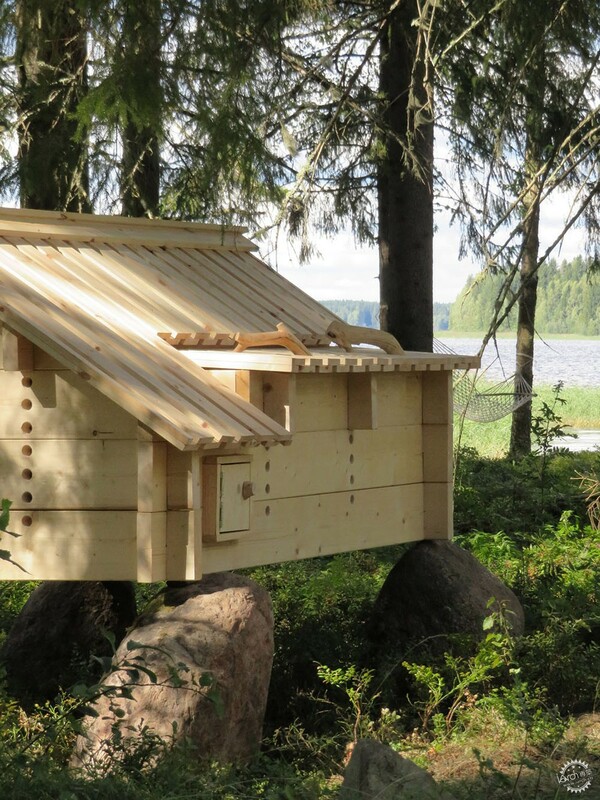 The use of tall, straight pine trees for stacked log construction has been prevalent for centuries throughout the Nordic region. Chan and Brisco wanted to honour this tradition, while adding a few twists, including the much smaller scale. 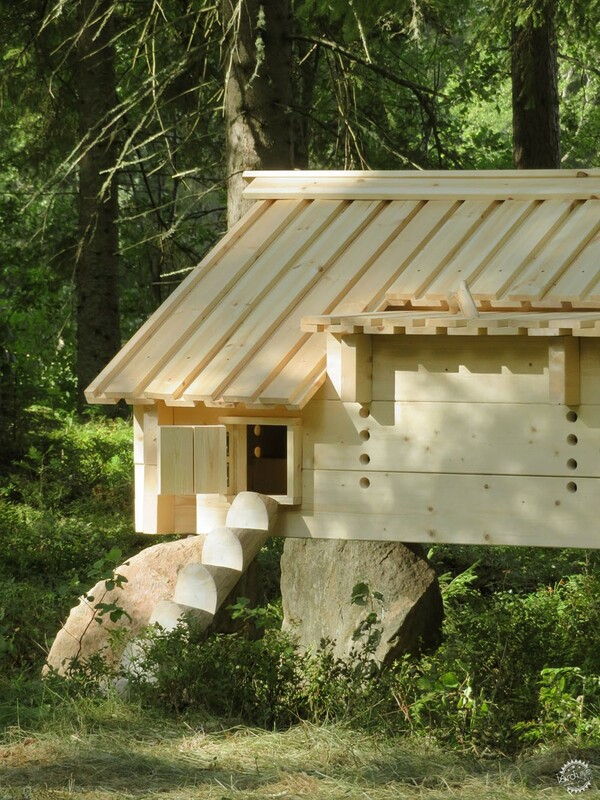 Similarly, some older log buildings in the region are raised above the ground on large boulders, so architects chose to place the chicken coop on a group of granite rocks. 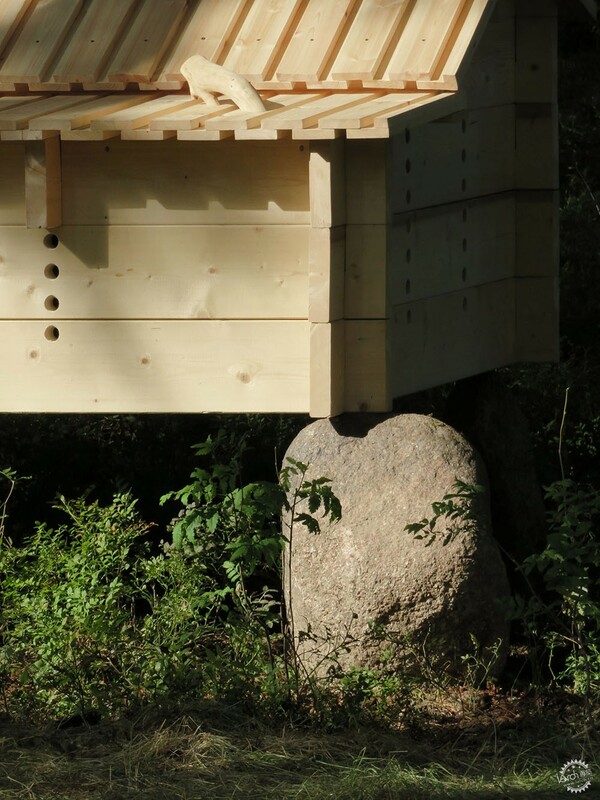 "Raising the structure limits its exposure to wet ground, ensures it dries swiftly and puts at ease the birds within, who prefer to sleep off of the ground," said the architects. 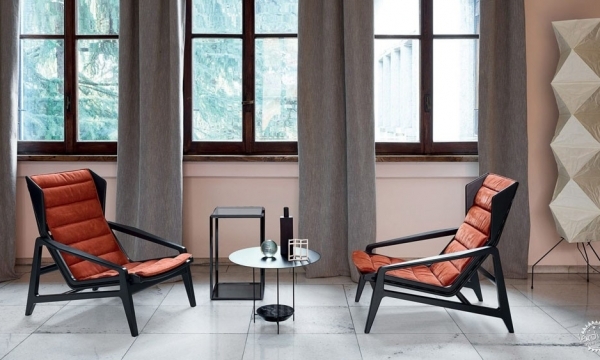 "A raked roost extends this consideration inside." 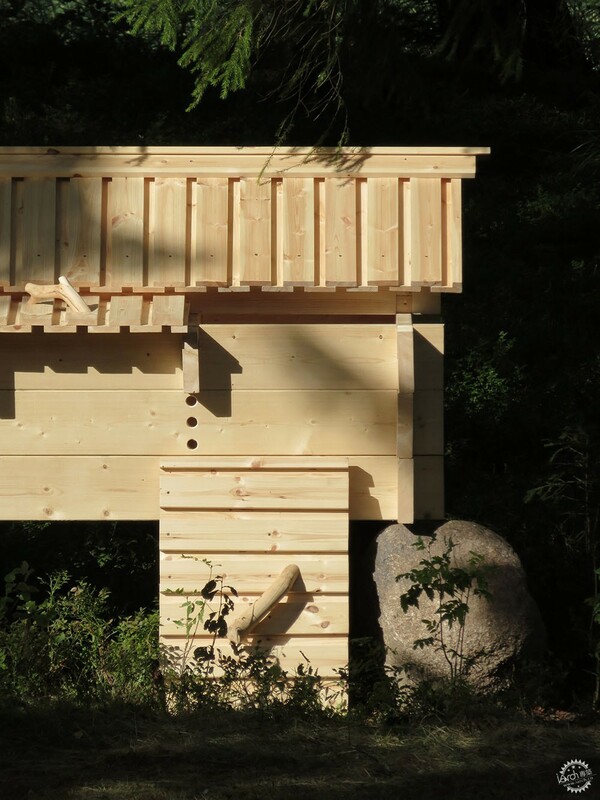 The coop is built using pine beams that are stacked vertically and overlap at the corners, to recall the familiar form of its human-sized predecessors. 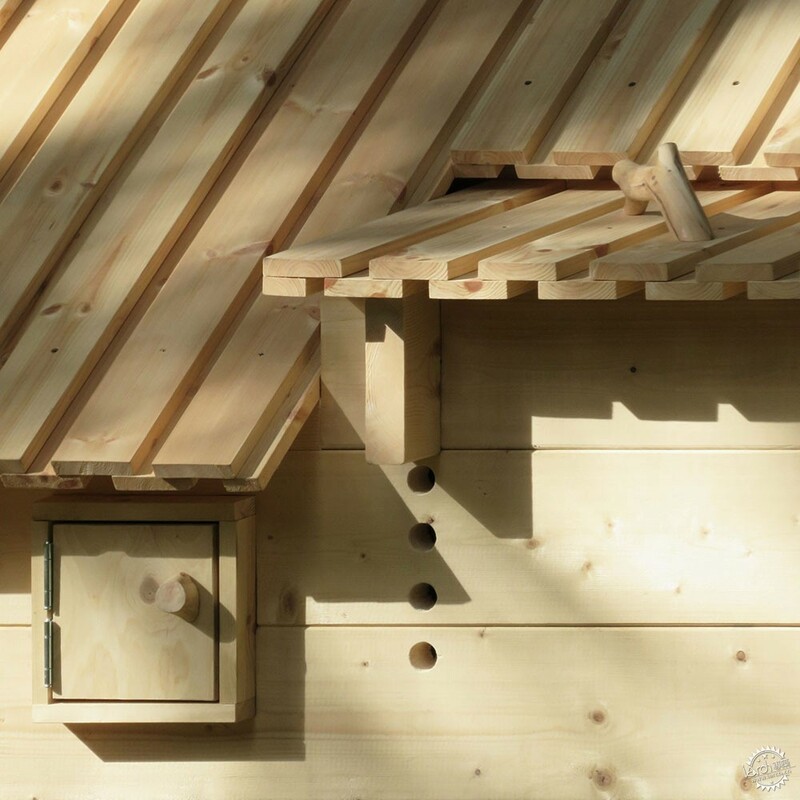 The front facade incorporates an entrance for the birds. 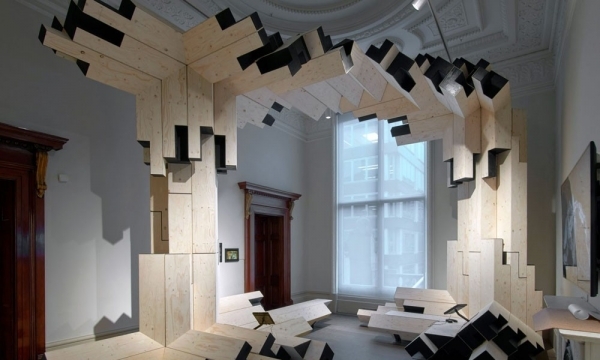 They reach it using a stair hewn from a driftwood log that was sourced from a neighbouring sawmill. 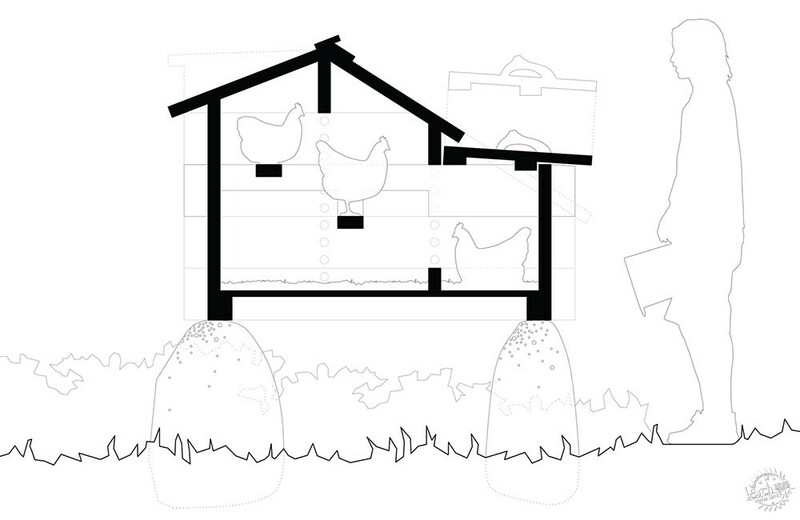 Another opening allows eggs to be collected from nesting boxes below the roost. A larger door for maintenance is built into the rear facade. All of the openings feature handles made from a foraged birch branch that was hand sawn and sanded, before being finished with the same clear matt protective coating as the rest of the timber. 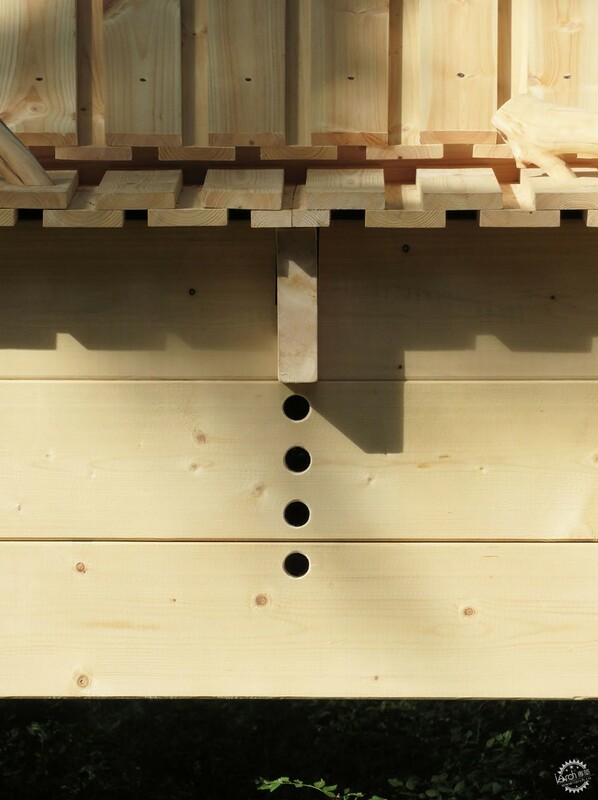 The structure's facades are punctured by cored holes that are essential for ventilation, and to limit the build up of heat, humidity and ammonia inside the coop. Similarly, Vietnamese studio Tropical Space recently created an elaborate coop that features a network of boxes, platforms and stairs, which can be used by both chickens and children as a playground.